Introducing our new Quickshot M4 CQB Rifle. We have recently designed two off-the-shelf parts that you can quickly and easily attach to your standard M4 airsoft gun to build this unique gun. In this case, we wanted to build a futuristic close-quarter rifle out of a standard airsoft M4. See a rotate-able, interactive 3D model. 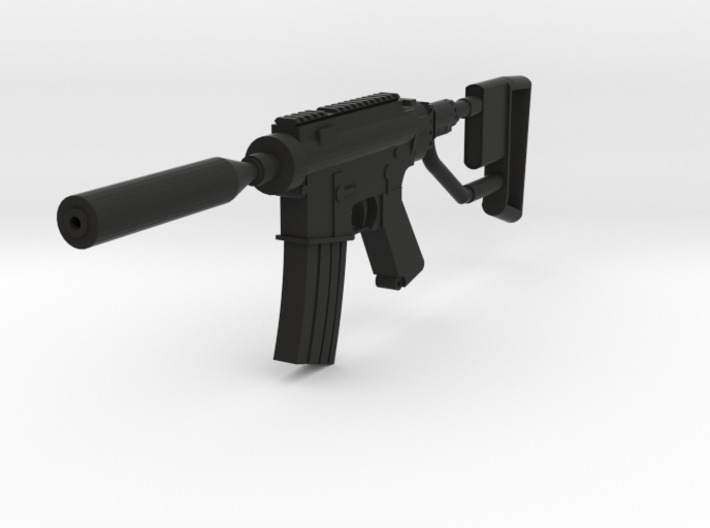 This CQB rifle features a long and deadly silencer and a functional, futuristic shoulder stock. Quickshot M4 CQB Rifle remains compatible with standard M4 airsoft parts. Visit our Gun Build Showroom to see more interesting airsoft gun designs.